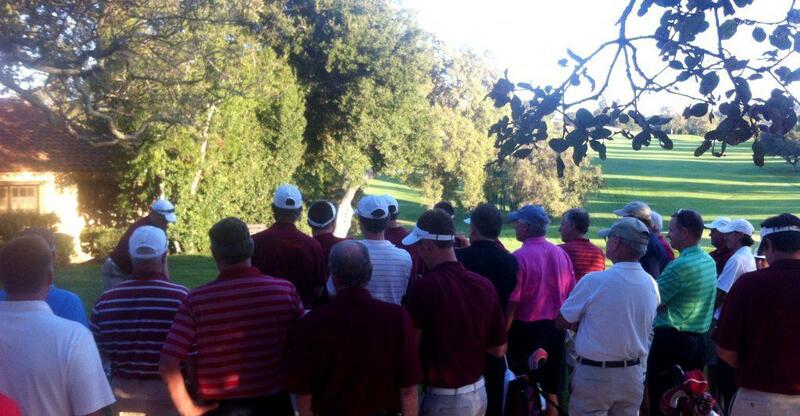 Stanford Men’s Golf Team attended to the fundraising tournament too. One of the most memorable days in our trip was our visit at Stanford University. We had the honor of organizing Golf GameBook’s Live Scoring system for Stanford Men’s Golf Team’s fundraising tournament called Cardinal Classic. GameBook has done a rich cooperation work with Stanford Men’s Golf Team since the end of last year. 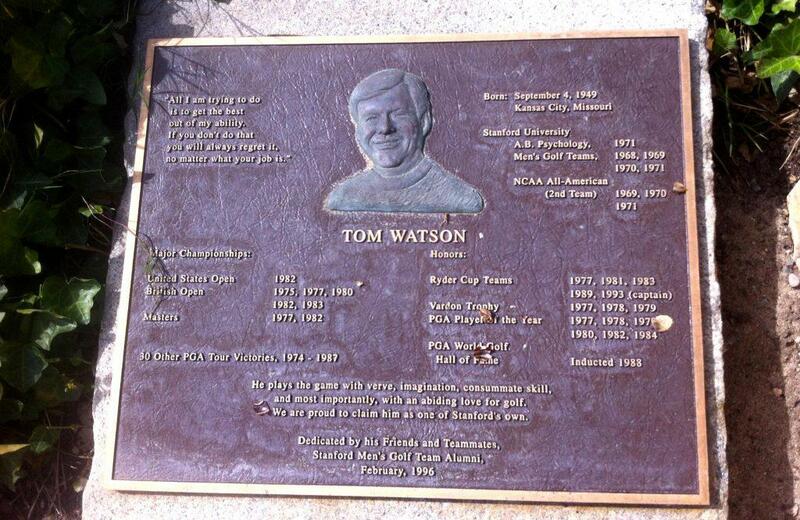 Respecting the traditions: Stanford College’s alumni, eight-time major champion, six-time PGA Tour’s Player of The Year, member of World Golf Hall of Fame, Tom Watson got his great achievements wrote in stone at Stanford Golf Club. In November 2011 we met Stanford Men’s Golf Head Coach Conrad Ray. A true gentleman and a true professional! Conrad found out how well GameBook’s live leaderboard & chat works for in College Golf scene: for example in their qualifying tournaments. When players are on the course, Coach is able to follow scores and over all standings in real-time as well as leave and read comments for and from the players. Fundraising tournament was so much fun. Needless to say that me and Rantsu both enjoyed our day wholeheartedly. The atmosphere was relaxed, weather couldn’t be any better and all the players and guests had a smile on their face from the start to the sweet end. This is why I basically love golf. It’s fun and always turns you to a good mood. We had the honor of enjoying Stanford Men’s Golf team members driving show after the fundraising tournament. What a great day! After the tournament Stanford Men’s Team gave us a great driving show. These boys are good! Whole team was there although they just had arrived back from Scotland the night before. Team’s number one player Patrick Rodgers suffered some jetlag for sure but played gross score 63 anyway! Impressive! He currently holds 26th spot on World Amateur Rankings but can be expected to claim inside top 10 very fast if continues like that. We got a chance to play couple of rounds at Stanford Golf Club too. What a training conditions students have there! I was impressed, even moved 🙂 A-Class driving range, huge greens for the short game practice, 100m long holes to improve wedge and approach shots and very nice park-style course. The course wasn’t too narrow although not a runway either but it definitely required a precise game strategy. What was the hardest part for me was the over all distance. You know, I’m not getting any younger 😉 Stanford’s guys don’t have same kind of problems there. I know because I saw how faaaar they hit the ball at post-tournament show. Check out this practise area! Green after green after green…. Impressive! And this was only a one small slice of the whole practise area!